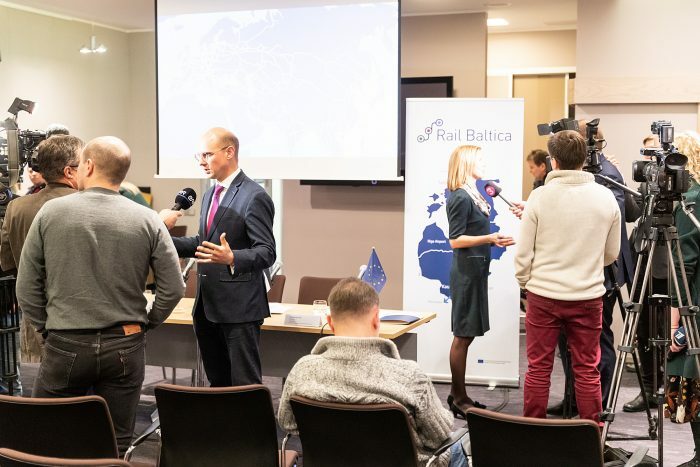 Rail Baltica Global Project Annual Press Conference. 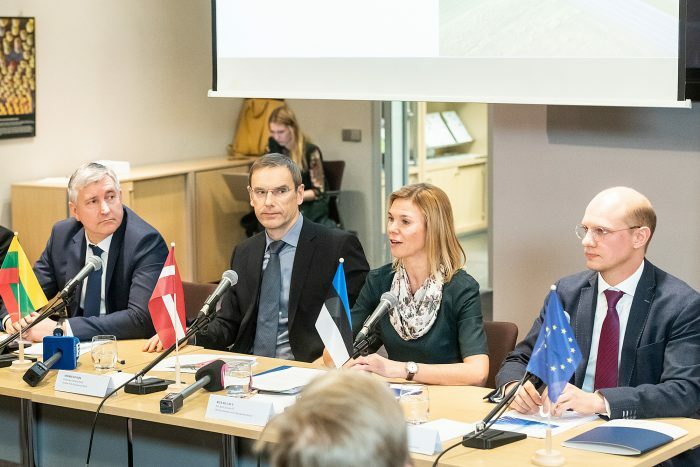 Participants from right to left: Ignas Degutis, Acting CEO, CFO and Chairman of the Management Board of RB Rail; Riia Sillave, CEO and Member of the Board of Rail Baltic Estonia OU; Andris Linužs, Member of the Board at Eiropas Dzelzceļa Līnijas SIA; Arenijus Jackus, Director of Rail Baltica Coordination Department at Lietuvos Geležinkeliai JSC. 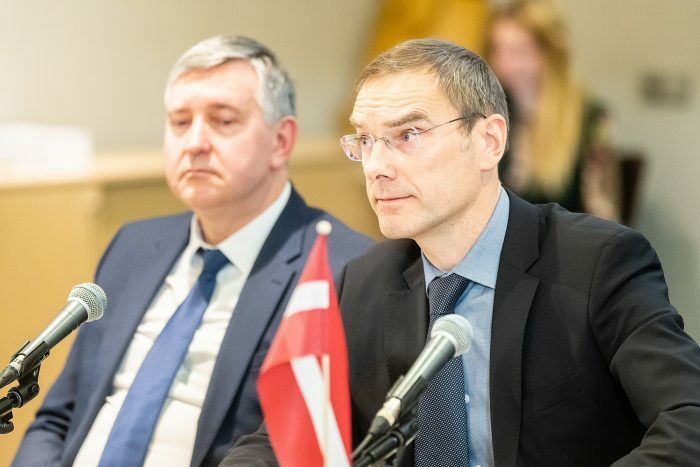 Ignas Degutis, acting CEO and Chairperson of the Management Board, RB Rail AS. Riia Sillave, CEO of Rail Baltic Estonia OU. 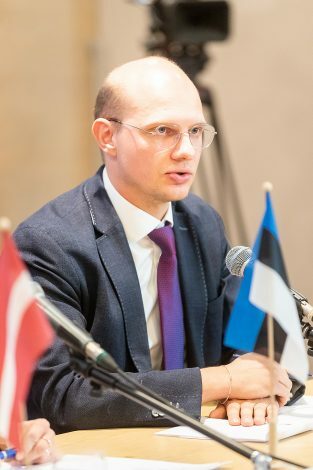 Andris Linužs, Member of the Board at Eiropas Dzelzceļa Līnijas SIA. 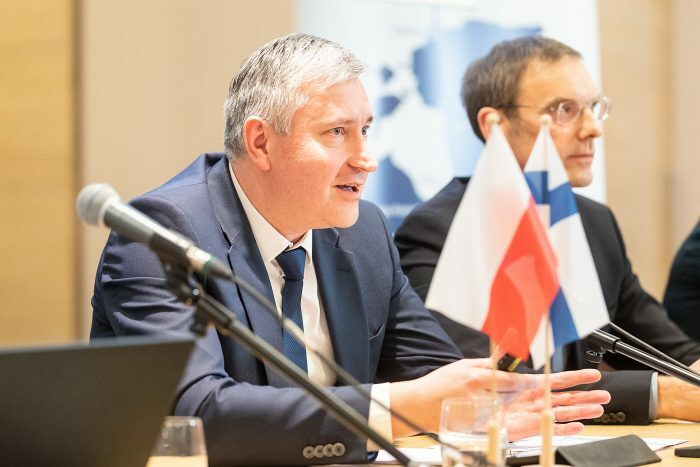 Arenijus Jackus, Director of Rail Baltica Coordination Department at Lietuvos Geležinkeliai JSC.